Beer gardens have been popping up all over the place lately. There are about a dozen in Philly.But, most of the beer gardens require driving. I’d rather lounge in my own backyard. So I thought, why not create my own beer garden in my back yard? All it takes is a little time, creativity, and access to a few resources and you’ve got the perfect atmosphere to entertain friends and family, all year long. Even in the Fall and Winter. and got your very own beer garden ready! 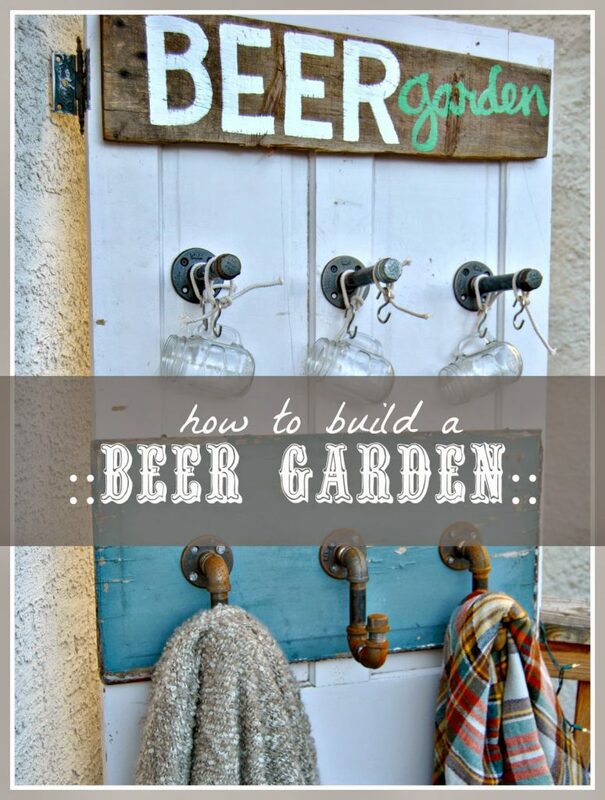 Hopefully I can make planning and creating your own beer garden simple. Follow these 5 easy steps and you’ll be doing to polka in your back yard with a beer mug in your hand in no time. Find a level spot in your yard. Traditionally beer gardens were paved with gravel. But, work with what you’ve got, stone, brick, even the back part of you driveway could work. 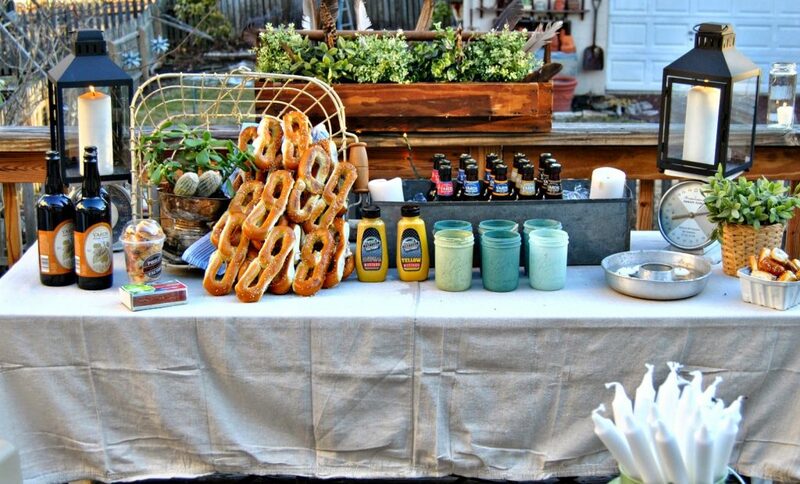 Or a spot on your lawn can create a great atmosphere and starting point for your beer garden. Choosing tables and seating for your garden. The whole idea is to create a social atmosphere. 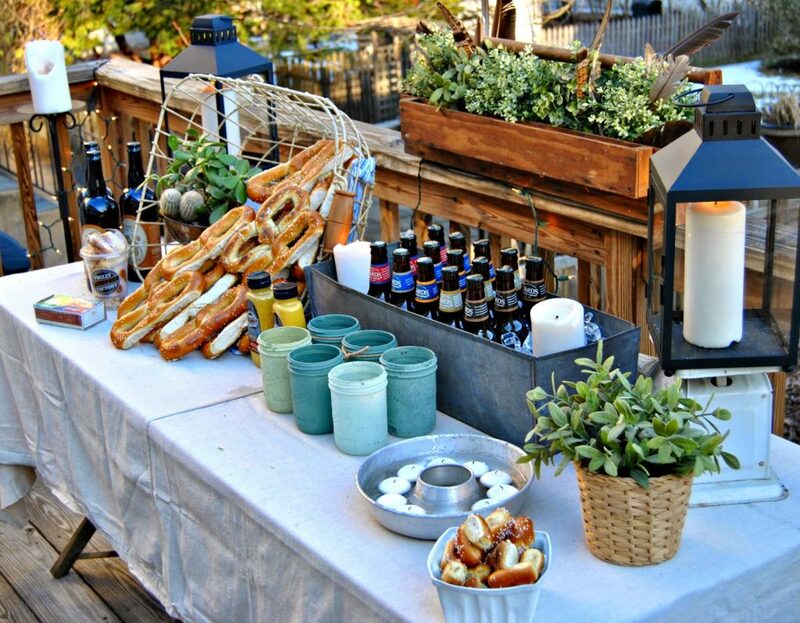 So think of ideas that will encourage your guest to interact with each other. Choose pieces that can weather outdoor conditions. Steel, iron, or any kind of metal will work well. 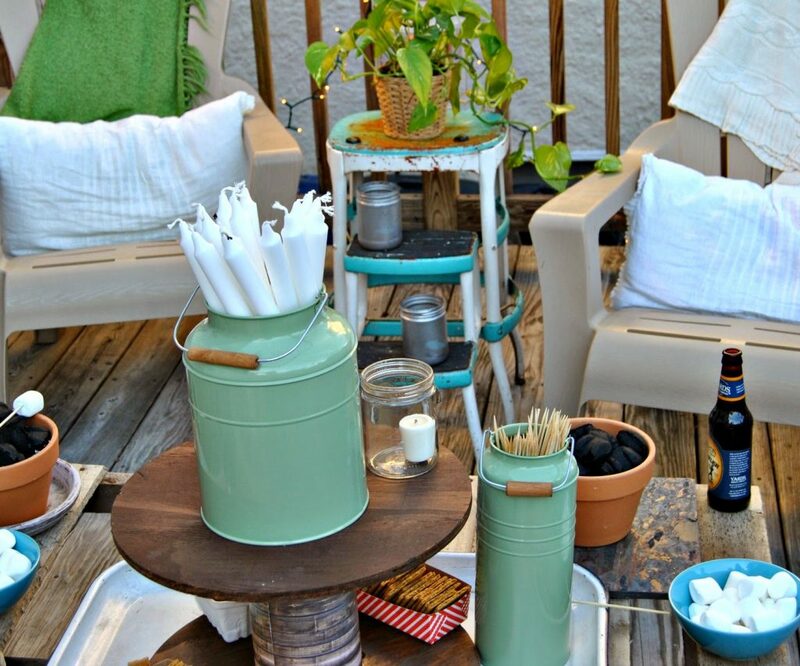 Add lot’s of areas around your spot for friends to mingle. Think about traditional tables and high top tables. Add as many chairs as you can fit! Plan for more than you think you’ll need. 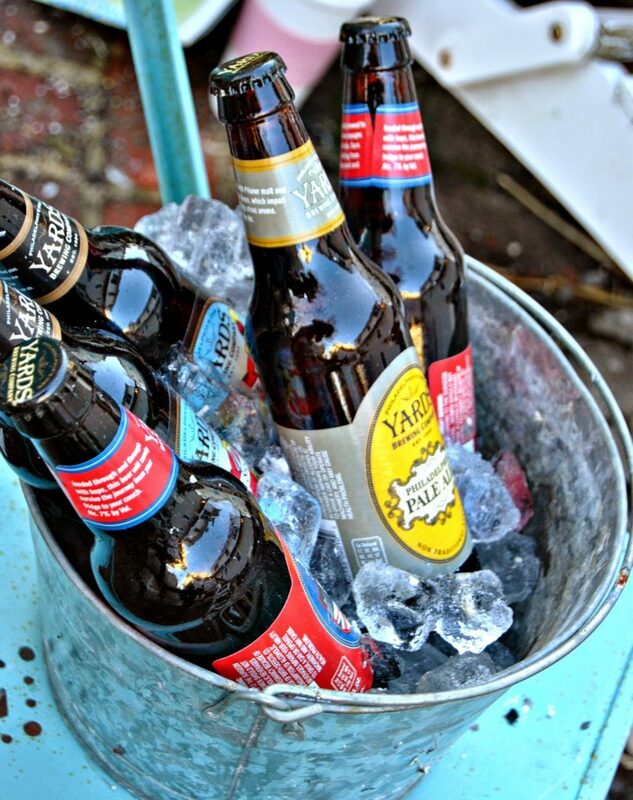 After all, gathering with friends over a few beers is what the beer garden is all about. If you don’t have lot’s of seating, create your own. Add tree stumps for stools, lay boards cross the for benches. Circular tables are perfect if you can find them. You don’t have to break the budget, just start thinking outside the box. 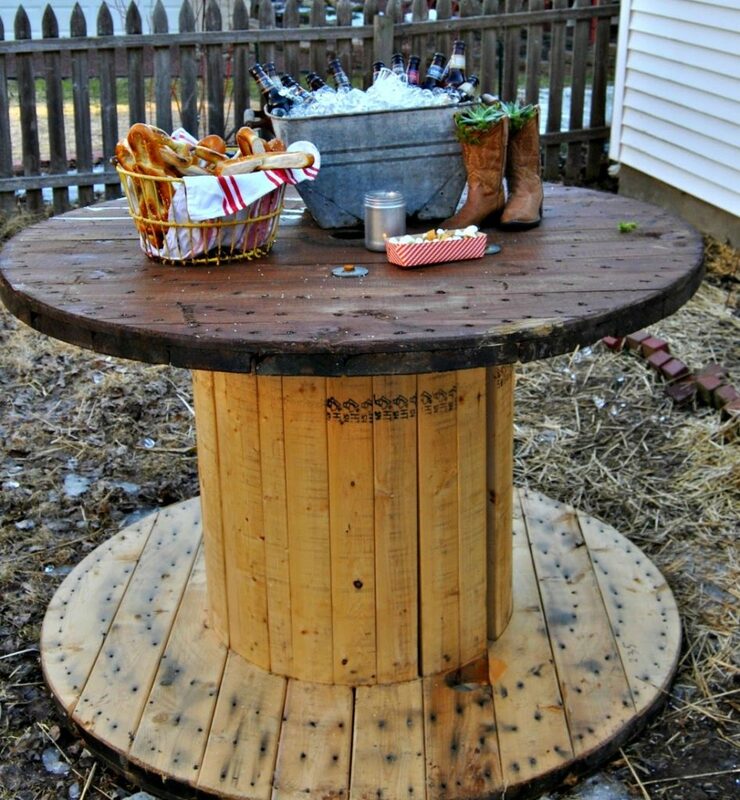 Check craigslist for picnic tables, or better yet, wood cable spools. I found some at an electrical supply distributor. They have tons, and they are happy to get rid of them. Free stuff from craigslist is perfect. If it doesn’t weather well after a year or so, toss it. No loss. Lighting – One of the best ways to create a friendly atmosphere is lighting. The often forgot about element in many designs. Add string lights, candles, lanterns, even flashlights. The more the better. So dig out your Christmas lights, or for you procrastinators, don’t take them down yet. Music – get some outdoor speakers, turn up your spotify, dance. 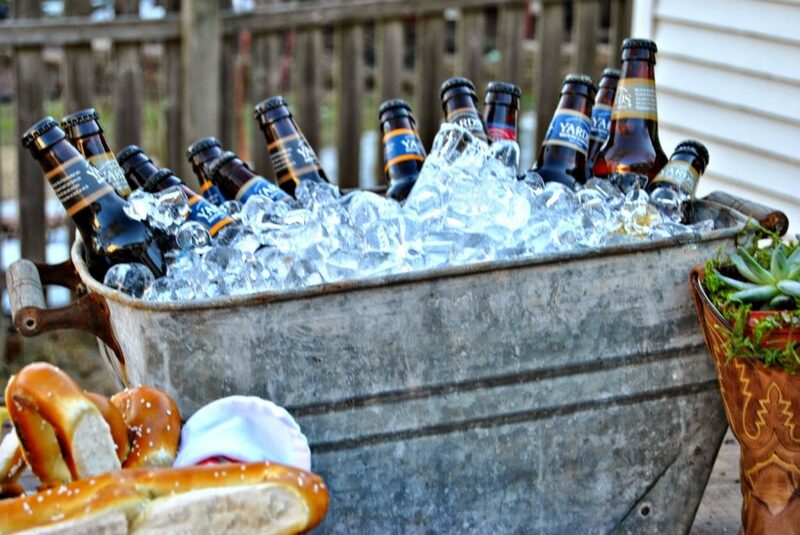 The #1 item you’ll need for your garden…beer. Get create with the way you store it. 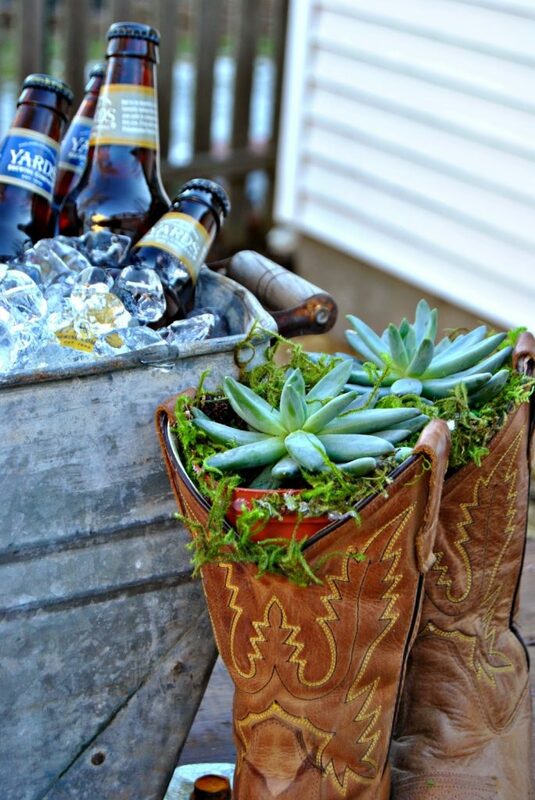 If it’s still chilly out, you can use buckets, tub, wagons, even your wheel barrel. The food doesn’t have to be super complicated or over thought. 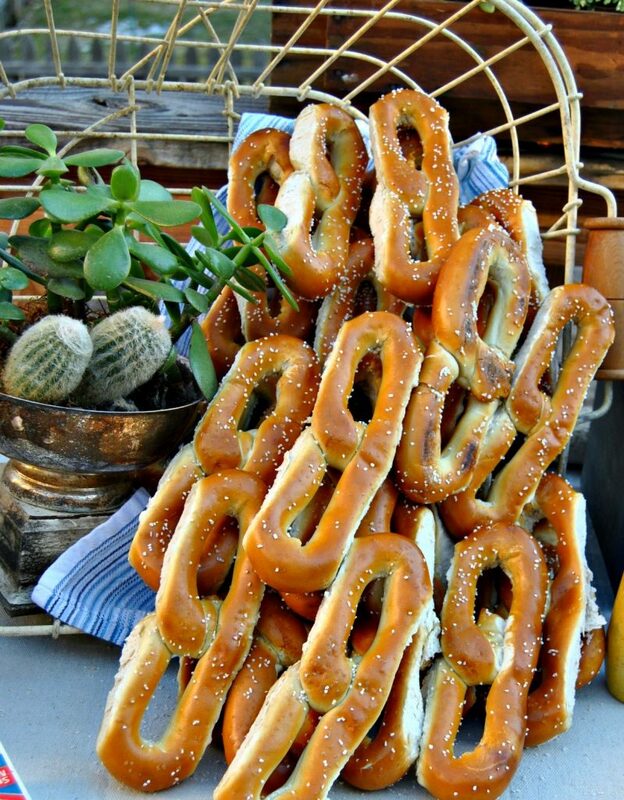 We chose pretzels. 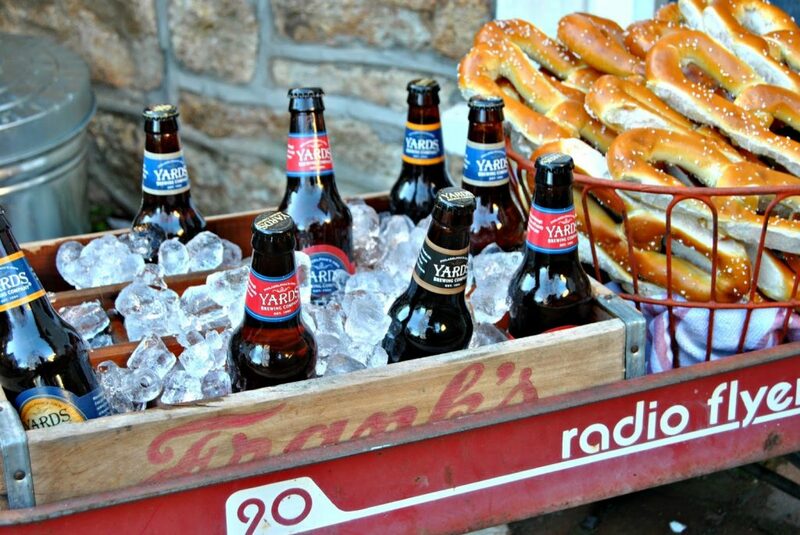 Cause who doesn’t like a good Philly pretzels with there Philly Beer. Thanks to Yards for supplying me with the beer today for our beer garden! And thanks to Country Living for covering my Beer Garden. 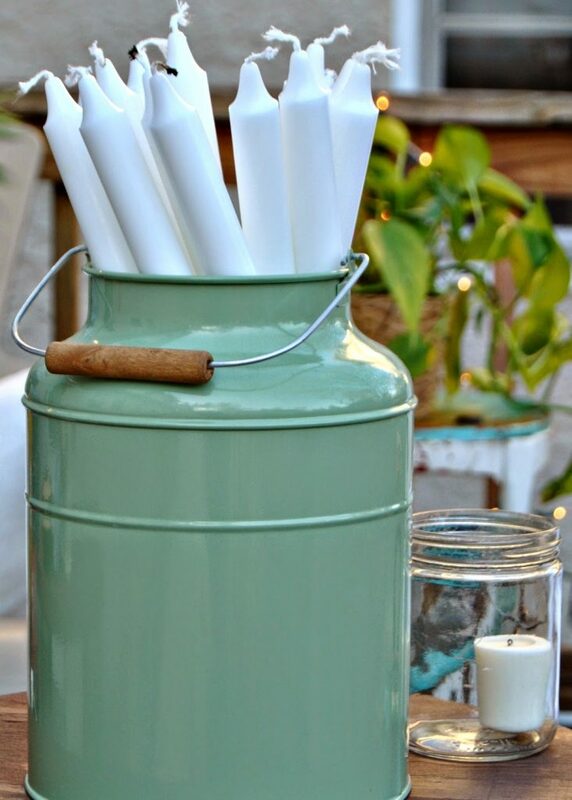 These containers are the perfect for bringing some color into your pre-spring back yard. 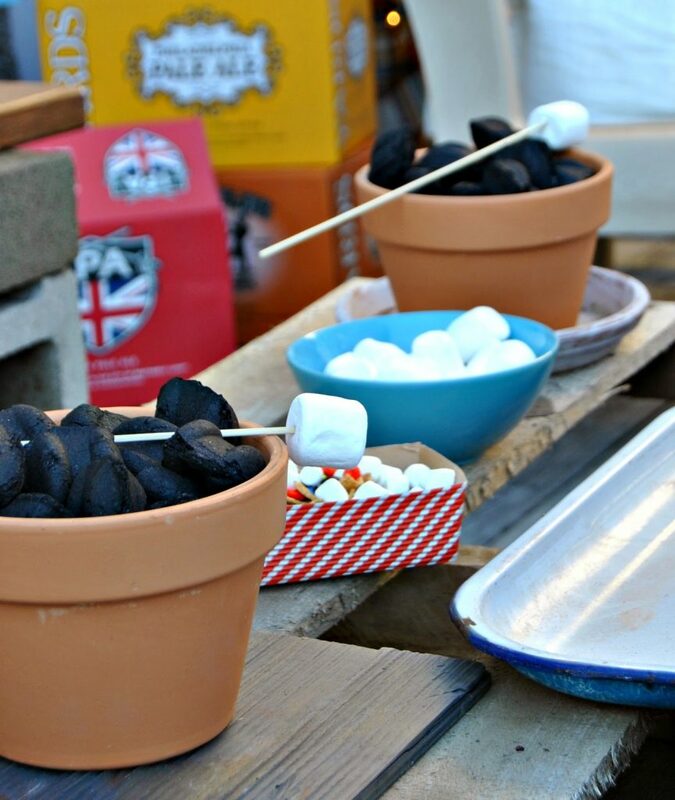 I used them to hold tall candles and skewers for marshmallows. IKEA is the perfect place to find every candle imaginable! I used votives, pillars and floating candles in my back yard. These lanterns are my fav, fav, favs! So glad I have 6! I added these floating candles to an old bunt pan and set in in the center of the bar table. It’s still a little chilly around here. But that won’t keep me inside. 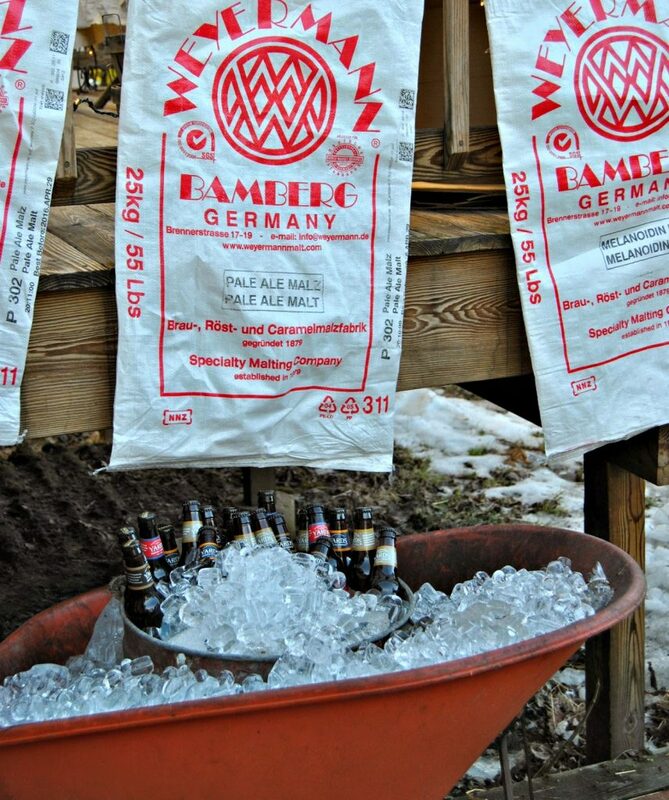 give to my guests to keep warm while still enjoying the beer garden. 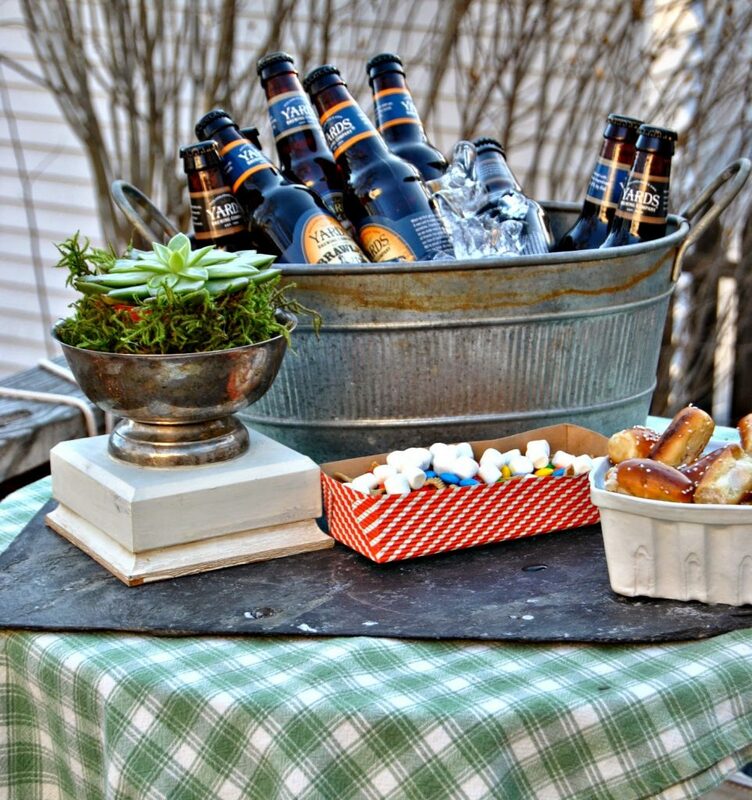 I hope you’ll get outside this weekend and create a little beer garden of your own!